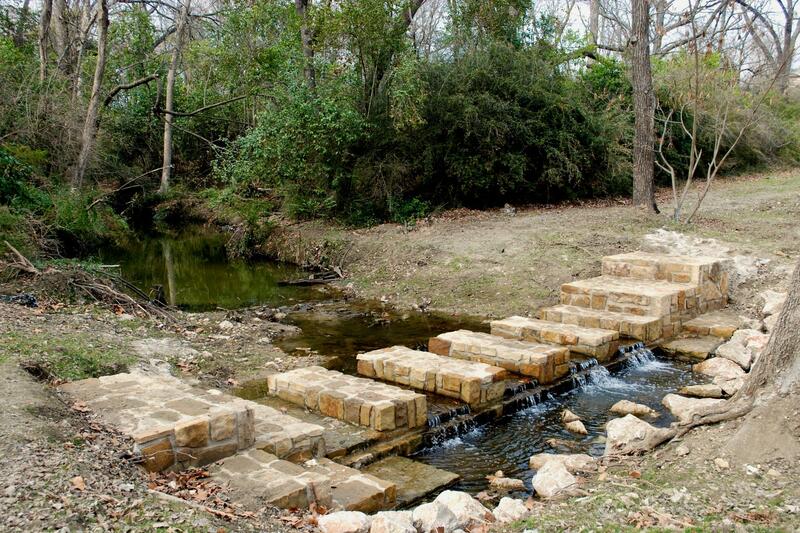 This project required various improvements to Lakewood Park at Williamson Branch in Dallas, Texas. Metropolitan Infrastructure’s project scope included: a new parking layout, site grading, channel cross-sections, channel grading plans, stone retaining walls, tree protection plans, channel lining walls, a site drainage system, and pedestrian hike and bike trail access. MI also designed two small stone dams and two pedestrian bridges.